Museum-lovers will get to explore Art Gallery of Ballarat and Shrine of Remembrance. Eschew the tourist crowds and head to Eastern Beach Reserve and Phillip Island Wildlife Park. Change things up with these side-trips from Melbourne: Ballarat (Lake Wendouree, Ballarat Botanical Gardens, & more), Anglesea Surf Centre (in Anglesea) and Split Point Lighthouse (in Aireys Inlet). 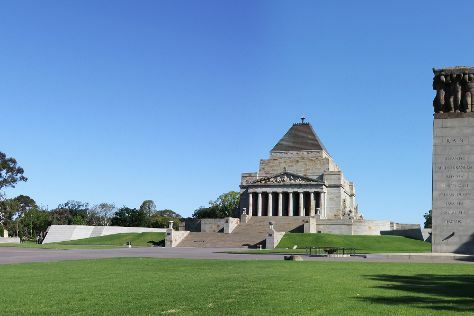 There's much more to do: explore and take pictures at Royal Botanic Gardens, contemplate the long history of St Paul's Cathedral, stroll through Melbourne Zoo, and admire the masterpieces at National Gallery of Victoria. If you are flying in from United States, the closest major airport is Melbourne International Airport. November in Melbourne sees daily highs of 73°F and lows of 50°F at night. Cap off your sightseeing on the 25th (Mon) early enough to travel back home.